Photo: Minister of Tourism Obie Wilchcombe with Sandyport Beaches Hotel and Resort General Manager, Vernon Moss and staff, with the recently awarded RCI Gold Crown Award. Sandyport Beaches Resort and Hotel president Rowena Jones said she and her staff were thrilled with the recommendation. 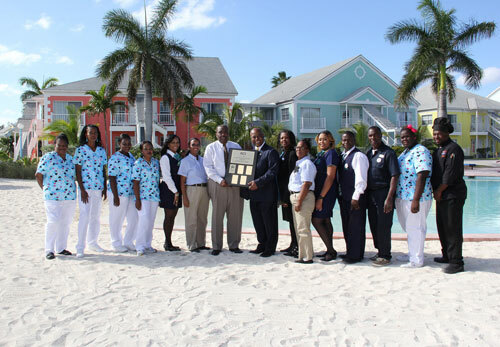 Sandyport Beaches Resort and Hotel recently won the coveted RCI Gold Crown Resort award, the highest of RCI designations as determined by industry expert evaluations and vacationers’ comments. The 72-suite resort, nestled between luxury canal-front residences and the bustling commercial centre of Sandyport Marina Village, is one of only three resorts in The Bahamas, and a select number worldwide, to meet RCI's requirements for this recognition. 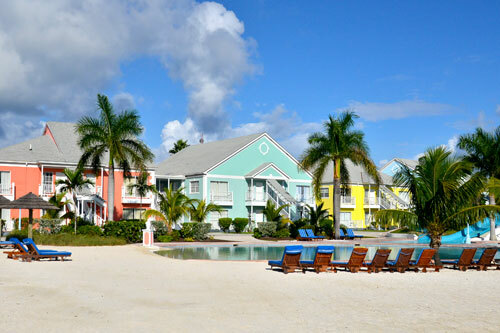 Sandyport Beaches Resort and Hotel is located just west of the casino and night-life of Cable Beach in Nassau’s cosmopolitan Western District. Just a few minutes’ drive from both the old colonial charm of Nassau’s Bay Street and the International Airport with its connections to many destinations in the U.S., Canada, the U.K. and Europe, Sandyport fuses lifestyle with convenience and award winning hospitality.